Perhaps a perfect followup to Nikon's D500, Canon's 80D, and even Sony's A7-series releases, Sigma's two new lenses aren't built for full-frame coverage, but instead include a fast, Art-series portrait zoom for APS-C cameras and a fast, f/1.4 normal lens specifically designed for mirrorless cameras that is supposed to offer superb image quality at a reasonable price. In addition, Sony E-Mount users will enjoy the availability of Sigma's new MC-11 Sony E-Mount converter that will allow the use of 19 of Sigma's Global Vision series lenses on many Sony APS-C and full-frame mirrorless bodies. While pro shooters have anxiously been waiting for Sigma to fill up its line of full-frame lenses, tonight's announcement leaves them in order to give APS-C and mirrorless shooters some love. And for the aforementioned Nikon, Canon, and Sony releases, one couldn't ask for a better start to a more well-rounded set of lens options. 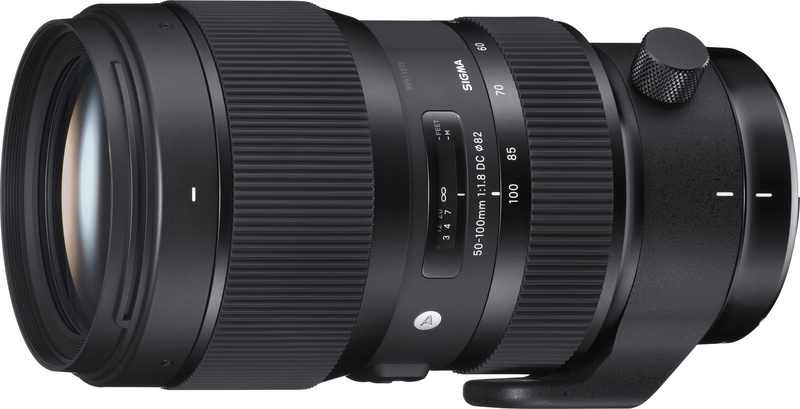 Sigma's 50-100mm f/1.8 DC HSM Art lens provides high-quality, bright, constant-aperture performance in a package that includes internal focusing and a tripod socket, which should be useful to handle this relatively compact, but still hefty lens. Considering the APS-C crop factor, this 50-100mm lens provides angles of view similar to a 35mm-equivalent of 75-150mm, covering all of the most popular portrait shooting focal lengths for any cameras with Canon, Nikon, and Sigma mounts. Perhaps the most surprising and useful feature of the 50-100mm f/1.8 is that it is a parfocal lens, meaning that once focus is acquired, the lens maintains that focus at all focal lengths. In combination with a design that features internal focusing, this is particularly exciting for filmmakers, as focusing with such lenses is an order of magnitude easier than with the more common varifocal lenses, which require refocusing as soon as the lens is zoomed in our out. 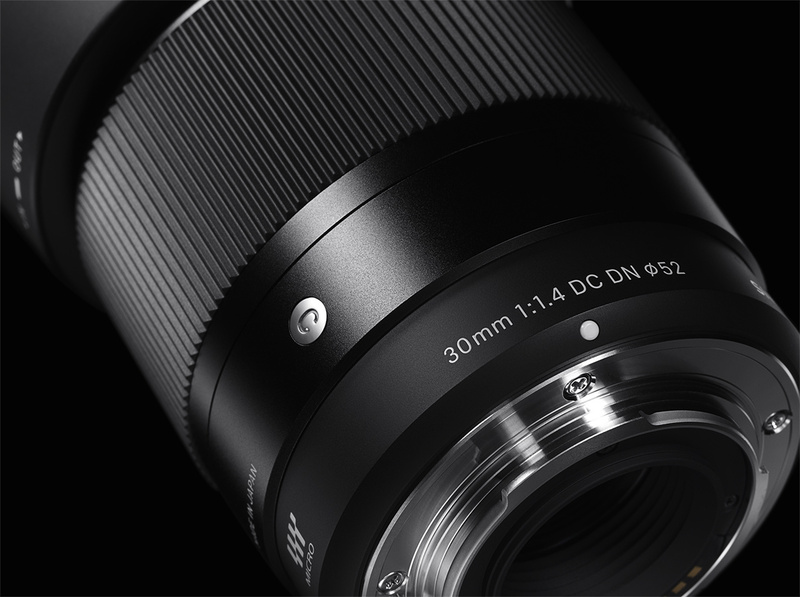 The 30mm f/1.4 DC DN Contemporary promises Art-line performance while Sigma also promises it will be the world's first high-performance, affordable f/1.4 lens for mirrorless cameras. A normal lens (approximately 45mm in 35mm equivalent), the 30mm f/1.4 will be available in Sony E and micro four-thirds mounts (note: while Sigma's mount conversion service will apply for switching between the different mirrorless mount types in the future, conversion to other APS-C or full-frame non-mirrorless mounts will not be possible). Finally, Sigma's new MC-11 converter will adapt 19 of Sigma's Global Vision lenses (Canon EF or Sigma SA mounts) for use on various Sony mirrorless cameras. 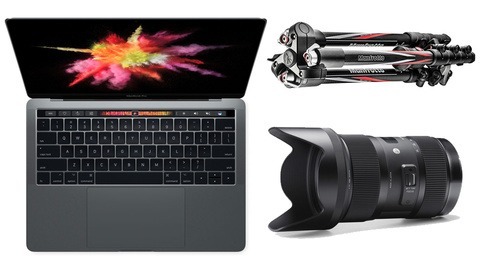 Taking both the camera's in-body optical stabilization (where applicable) as well as that of the Sigma lens, the MC-11 converter ensures accurate and efficient use of all optical stabilization systems available. In addition, an integrated LED display offers the convenience of letting the user know if the attached body and/or lens is compatible with the adapter and/or if an update is needed to work with a particular lens. 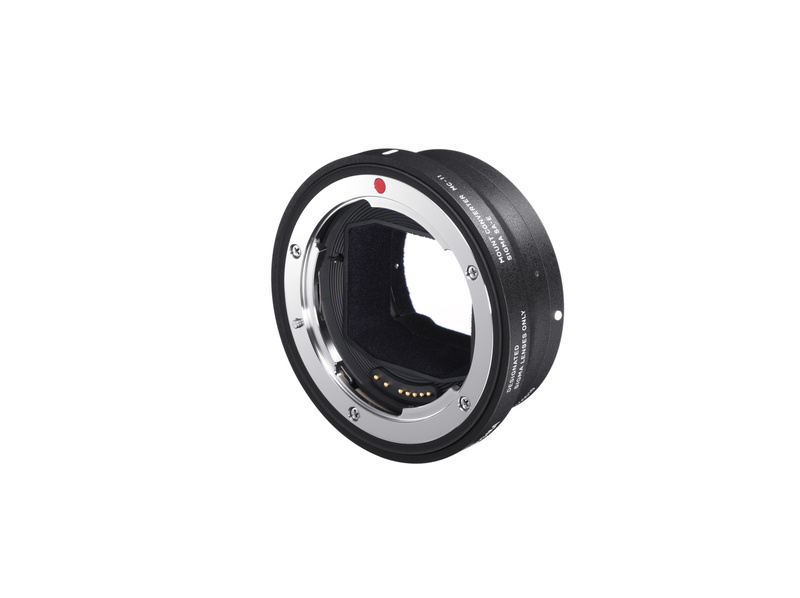 The added communication of all of the lens' data through the converter and to the body along with the other features of the MC-11 are sure to make this one of the most advanced mount adapters on the market. The 50-100mm f/1.8 DC HSM Art is available for pre-order for $1,099 in Canon, Nikon, and Sigma mounts and is expected to ship at the end of April 2016. The 30mm f/1.4 DC DN Contemporary is available for pre-order for a very reasonable $339 in Sony E-mount and micro four-thirds mounts and is expected to ship in mid-March 2016. Finally, the MC-11 converter should ship at the beginning of April for $249. Are these lenses what you expected from Sigma? Are you pleasantly surprised or disappointed? Let us know! I understand your anticipation but a "fail"? I don't know if that's accurate. I'm looking forward to an 85 f1.4 also, can't wait for them to release one. I'm interested to see if that MC-11 converter can also take Canon Lenses and do 'acceptable focusing' on Sony cameras. Still can't seem to find if the 50-100mm is internal focusing and zooming or does it extend out? It's internal, which is great. Can't wait to try it out. Looks like a lens that covers a lot of photography fields. And since it's an Sigma Art lens... it must be great. Wow. Brain was somewhere else. Link is fixed. The D500, of course... And yes, not the D610 (although that, too, would be a good candidate, but that's beside the point). Constant focus! Yes! =) Match this with the D500 and you have a great wedding cam! Too bad they still are having problems implementing OIS that won't infringe on Nikon's. All three items look exceptional, I do have one question however. The MC-11 converter claims to convert lenses that are EF or SA mount to Sony's E-mount. Does this mean it's a competitor for Metabones? Or am I missing something? 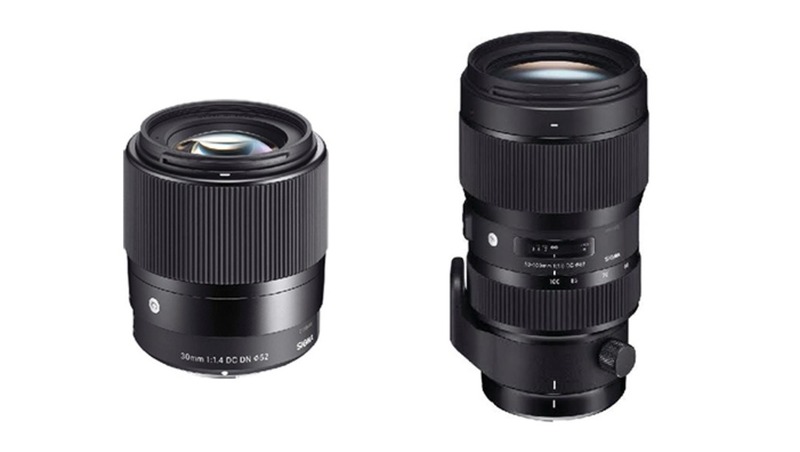 The way it seems is that they only convert Sigma's Global Vision series (Art, Contemporary, and Sport) that are in EF or SA mounts to Sony E-mounts -- the idea being that you can now use Sigma's newest lenses (except the ones in Nikon mounts) on Sony E-mount cameras. So basically its a metabones adapter exclusively for Sigma's newest lenses? But if they're EF mount surely all lenses would mount on it? 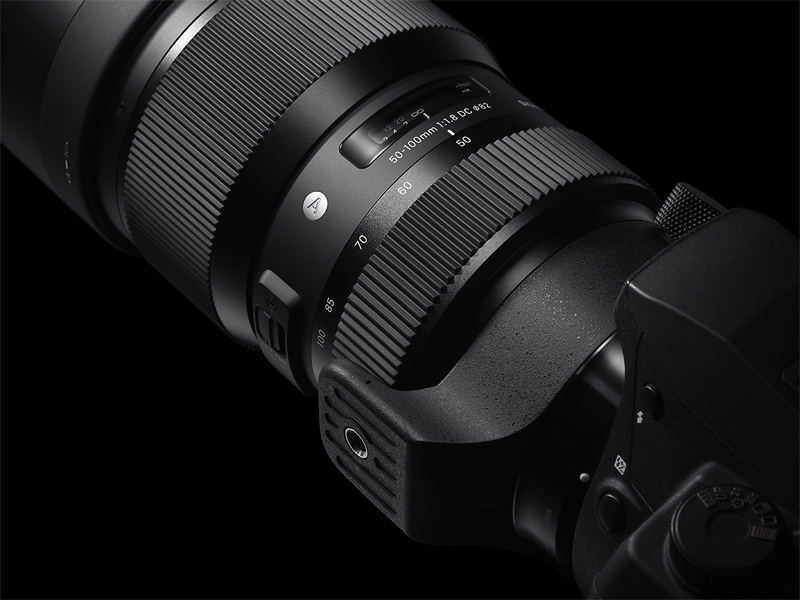 Maybe all lenses will mount, but only Sigma's lenses will have autofocus capability? Even if it is just a high quality EF mount for Sony cameras, that still would make it a good buy, especially if you already have a few Sigma lenses and are considering jumping ship. 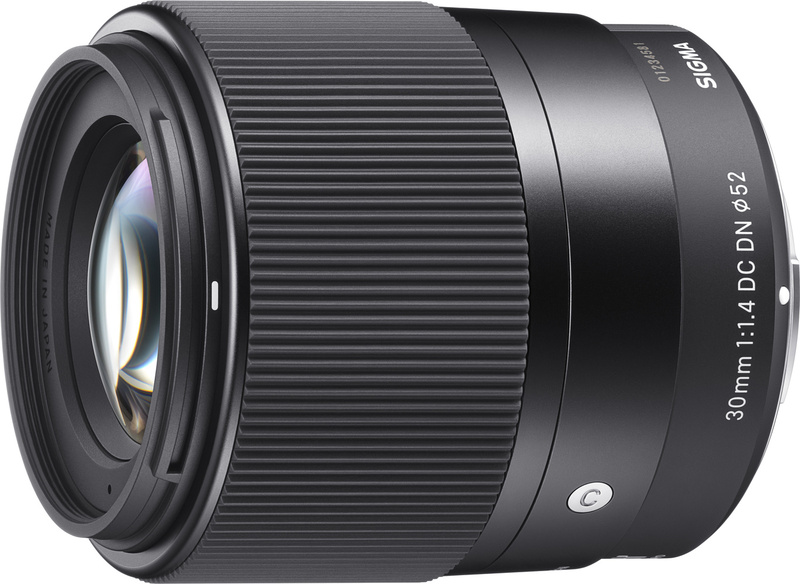 These new Art lenses from Sigma might actually get me to think outside of buying only "OEM", in my case Canon. Canon's M mount cameras are pretty average. Have a look at the Sony a6000 instead (there are others as well with much better reviews). No worries, I was just stating that it really might be beneficial for me to look at the Sigma Art lenses, instead of sinking more money into Canon lenses, as the "Art Lens" line really looks good. 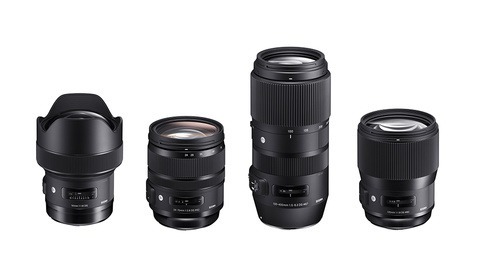 Pretty much every review of Sigma's latest Global Vision series lenses (especially the art series), including my own reviews, rave about them. Some AF issues at the start, maybe. Maybe some need for Sigma to recalibrate (a slight pain). But then awesome. Correct. That is a bummer. What is interesting, though, is that you could go through the mount conversion service to change those Nikon F mounts to Canon EF or Sigma SA mounts. But then you shoot yourself in the OTHER foot if you planned on keeping any Nikon bodies (not to mention there's a cost associated with EACH conversion). Nikon mount might be on the way later on? I wouldn't know. But being a Nikon shooter, I sure hope so. There's a good chance it has to do with either (or both) the fact that the Canon EF Sigma lenses might be more popular or the fact that Nikon's F-mount is so old and different that it will take more time/wasn't a priority, etc. Might even be hard to do...but I don't know my "mount science" in this regard to speculate in an educated way about why there's currently no Nikon-mount version. I don't blame you... Art-line quality, f/1.4, under $350...hard to beat on any system. I sure hope so! 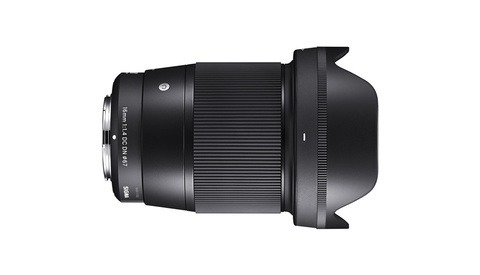 I'm interested that it is marketed as "art line quality" but Sigma have chosen not to officially label it an "Art" lens. I understand the lens is for cropped sensors, but I hope there's not any other reason they decided not to stick "Art" on it. I own Sigma's 30mm 2.8 Art lens, and its pretty exceptional. Picked it up for less than $100USD second-hand. That being said, this one opening to 1.4 is pretty rad. I have Sigma's 30mm f/2.8 non-ART lens ($180 brand new at the time) and whilst there's nothing particularly wrong with it, it's nothing special either. I suspect this new f/1.4 will, however, be something special.